What is the Power Emini Dynamic Trigger Range Indicator? 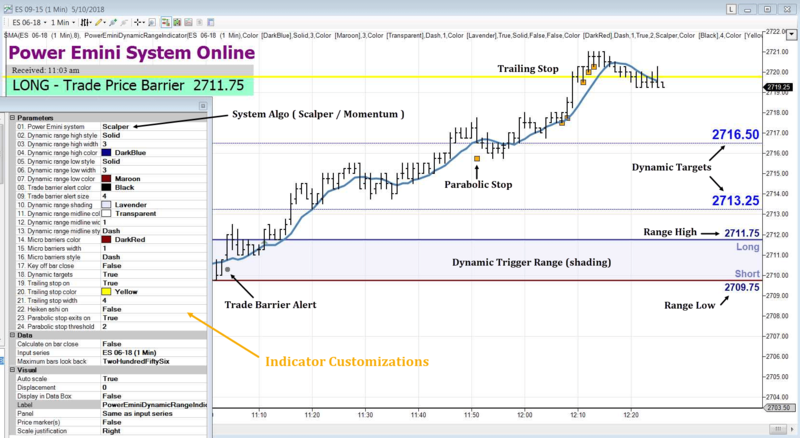 1) It is a companion indicator for the NinjaTrader platform users that plots our Dynamic Trigger Range and Alerts right on the chart. 2) The Indicator works for ES, NQ, YM and CL – and makes it easy to follow all the Alerts on your charts. 3) It will Automatically maintain the Dynamic Trigger Range and plot secondary entries, Macro Targets and Trailing Stops. 4) Better yet, it also provides the EXACT SAME ALERTS as the Desktop Alert Software – so you can See Visually exactly what is happening at all times on your NinjaTrader charts. You can use this indicator on any chart type, and also have concurrent charts open for ES, NQ, YM, CL and run the indicator on each. The indicator automatically knows which symbol to use based on the chart you have the indicator loaded on. You can see on the image above that many of the parameters are customizable and this “Companion Indicator” provides an in-depth view of everything that’s happening – right on the chart. All Current Power Emini Members get this add-on Included in the Membership – at No Extra Charge. 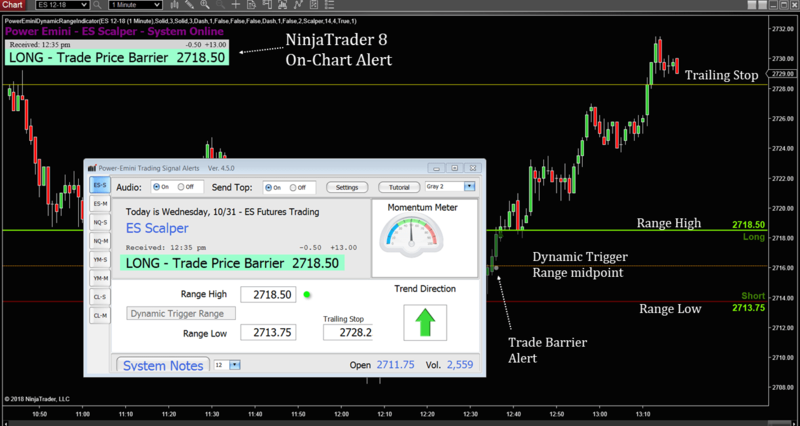 NOTE: You must have NinjaTrader installed on the same computer as the Power Emini Alert Software to run the Indicator.